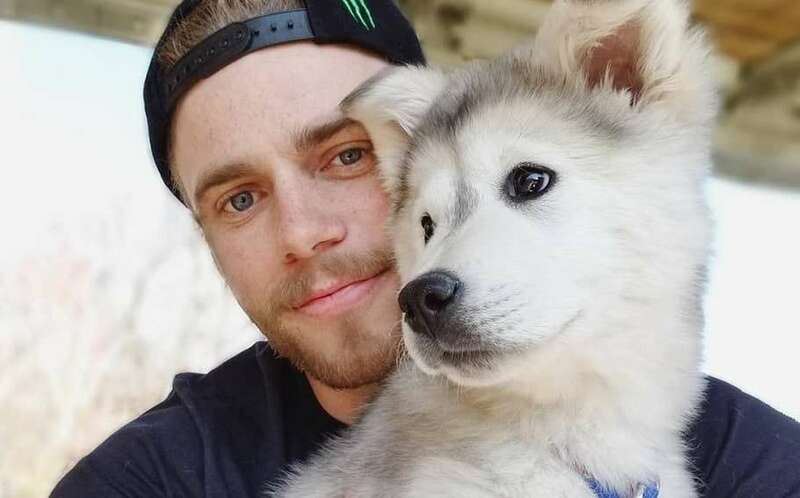 Gus Kenworthy has shared the devastating news that his beloved dog Beemo has died suddenly of a birth defect. The Olympic freestyle skier rescued the puppy from a dog meat farm while in South Korea for the 2018 Winter Games in Pyeongchang in Febuary. Kenworthy said he and his boyfriend Matt Wilkas had worried about the dog for about a week when she started to show less interest in her food. A scan revealed she had been born with a heart that was too big for her body, and her lungs were also deteriorating. Kenworthy said vets couldn’t get her “vitals back to a normal level” for treatment and she subsequently died. 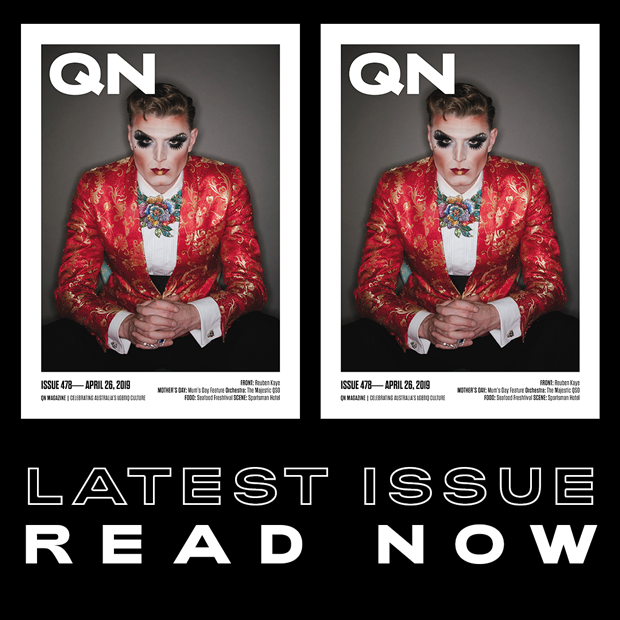 Kenworthy wrote on Instagram, “The ER doc told us that even if we’d somehow spotted the issue earlier it wouldn’t have made a difference in the end. He said that she’d been living on ‘borrowed time’ from the get go. “Beemo was truly the best thing that ever happened to me and I feel so fortunate for our borrowed time together. “I’ve never loved anything or anyone in the way that I loved that dog and she is and will always be deeply missed. “She was so smart and playful. She brought so much happiness to so many people every single day. “I’ll always remember being out on a walk with her and every other second she would get stopped by someone wanting to pet her, kneel down and kiss her, hold her in their arms or take a photo and on many occasions a crowd of people would have formed around her. “That was her power: she made people smile. She was the kindest, most gentle soul I’ve ever known. She loved people. She loved birds and the snow. She loved me and Matt. But most of all she loved meeting other dogs. Two days ago my beautiful baby Beemo passed away. It was completely unexpected and Matt and I are beside ourselves trying to cope with her loss. For a week or so we’d been worrying because she was showing less and less interest in her food. There were several trips to the vet and on our final visit this past Thursday I asked them do a full body scan in case there was an underlying issue they had missed. Beemo went into a panic attack during the x-rays and her breathing became rapid and shallow. The scan revealed that her lungs were deteriorated and that her heart was too big for her body – a birth defect we had no way of knowing about. Unable to treat her there, I rushed her to the emergency vet where a breathing tube was put down her throat. They hoped that with a respirator breathing for her they could get her vitals back to a normal level so she could be treated but they were never able to do so. The past two days have been a blur. It all happened so fast that it’s still hard to believe it. The ER doc told us that even if we’d somehow spotted the issue earlier it wouldn’t have made a difference in the end. He said that she’d been living on “borrowed time” from the get go. Beemo was truly the best thing that ever happened to me and I feel so fortunate for our borrowed time together. I’ve never loved anything or anyone in the way that I loved that dog and she is and will always be deeply missed. She was so smart and playful. She brought so much happiness to so many people every single day. I’ll always remember being out on a walk with her and every other second she would get stopped by someone wanting to pet her, kneel down and kiss her, hold her in their arms or take a photo and on many occasions a crowd of people would have formed around her. That was her power: she made people smile. She was the kindest, most gentle soul I’ve ever known. She loved people. She loved birds and the snow. She loved me and Matt. But most of all she loved meeting other dogs. If any of you have pets up in doggy heaven please tell them to go find Bee because she could really use a good play date right now. RIP sweet creature – your daddy loves you more than you could ever even know!